This week Maxwell attended his first every Birthday Party and he had lots of fun. Maxwell was quite shy around others as he was not used to the surroundings or the large amount of people who were in the room but after a while he soon settled and even won musical statues. It was lovely to see Maxwell playing with his friends. At the present moment Maxwell is obsessed with spending time in the bathroom. He loves to have long baths in bubbly water, he loves to "swim" in the bath with his bath toys, he loves to flush toilets and pull toilet roll off the holder however his favorite activity is to brush his teeth at the present moment. 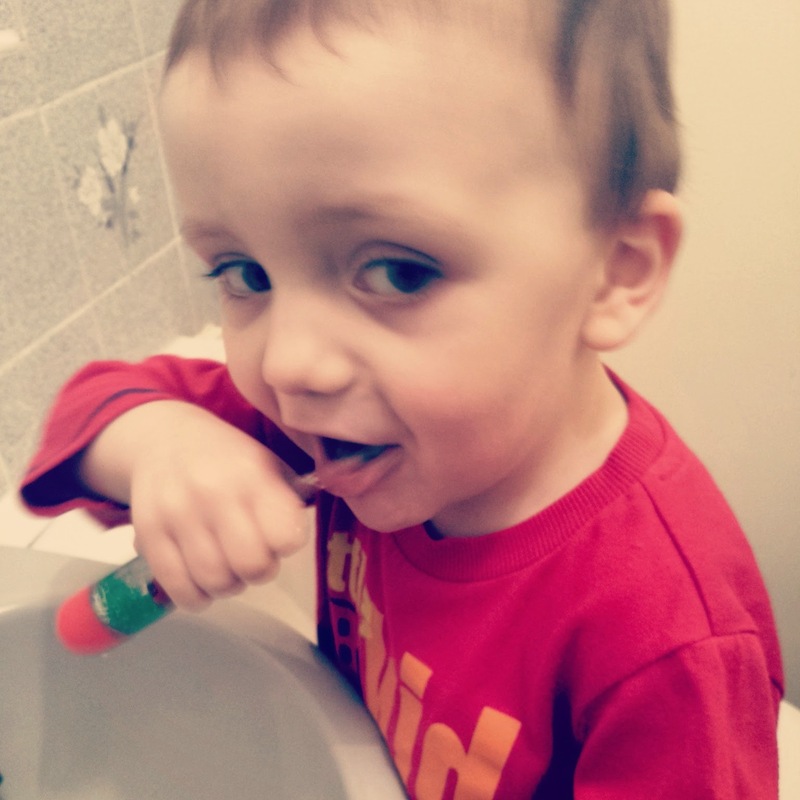 He loves to brush his teeth in the mirror and must have his flashing red car toothbrush! Maxwell, Ben and I are going away for a few days in a months time and we are looking forward to having a break away. This year has started off as a busy year for us all and at the same time it has been quite draining at times. The biggest stress in my life at the present moment is the unknown about Maxwell's development and how it may effect him later on in life. I am looking forward to our pediatrician appointment next month which will hopefully give me and my worries some sort of closure. 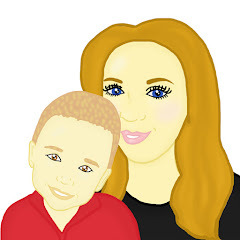 Maxwell has always been quite fussy when it comes to eating, he has always enjoyed eating dried food instead of food that may have sauce on however this week Maxwell has started to try lots of new foods which is great to see. This week Maxwell has eaten jelly, yogurts and has tried a wide range of sauces on his food which is brilliant to see. We will continue to offer Max new foods to try often. I feel that Maxwell never had the terrible two's tantrums and although this was great, it seems that he often now has the terrible three tantrums. He is by no means the worst child on the planet when it comes to tantrums and he often settles after 5 minutes however it can often be horrible to see him get in a state over something minor.